Spring is here, and with that, you’re ready to turn your AC unit back on and cool the house down in preparation for those long hot summer days. To get ready, you’ll want to make sure your air conditioning unit is in top-notch shape. It’s better to be prepared than to have your unit break down on a 90-degree day! Keep your air conditioner in good working order this spring with a wrench and a little bit of elbow grease. We don’t always think about the air filter until an issue arises, but making sure it’s in good shape is critical for keeping your unit up and running. By regularly checking your air filters you can avoid buildups of dirt and dust accumulating and restricting airflow. 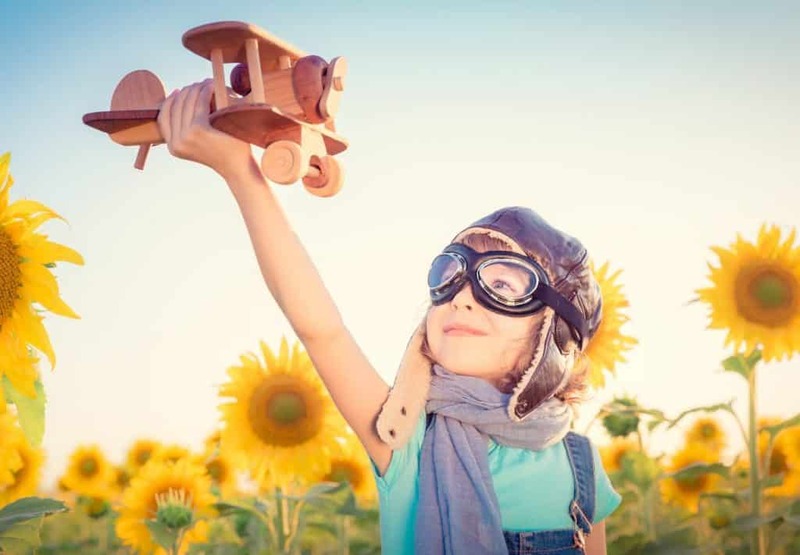 More importantly, you can curb those springtime allergies by cleaning the air filter, and keeping it free of pollens! Your centralized air unit is easy to take care of when you use the correct maintenance. Keeping an eye on your unit’s energy efficiency and cold air output can help you know when to change it. How Do I Know When to Change It? If you’ve checked the filter on your air conditioner unit and aren’t sure whether it’s time to clean it, there are a few other issues to look for. First, make sure airflow isn’t restricted through your vents. If your vents don’t seem to be putting out enough air flow, there’s a good chance its time to change that filter. Next, make sure there is no visible dirt buildup on the filter. Even if it seems clean, there may be pieces of dust stuck to the filter. Wipe it down with a damp cloth to remove extra buildup. Have you heard of duct leakage? A lot of people haven’t! Duct leakage occurs when your ducts aren’t properly sealed. The air that is channeled through the ducts leaks out and lets warm air in. The end result is that your air conditioner system has to work overtime to cool the house down, and you end up wasting a lot of money! Pretty terrible, right? Maintain your AC unit and keep it working smoothly by checking your ductwork for leaks. Make sure all holes are cracks are properly covered up. You should also check for poorly connected ducts; gaps between the ducts can cause leaks as well. You’ll need to hire the heating and cooling pros to make sure your ductwork is properly sealed, as it gets a bit tricky to DIY. 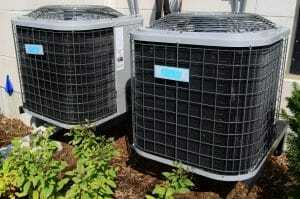 One big part of central air conditioning maintenance is checking the wiring and chilled water coils on your HVAC unit. This can be easily done, but can save you a lot of extra work later on! To check the wiring simply remove the access panel and look for crossed wires, melted insulation, wires that have been burned, or any other red flags you might spot. Make sure all the wires are properly and tightly connected. You can even check them using a test meter to make sure the capacitors are working fine. If the wiring is looking sketchy, don’t feel that you need to handle it yourself. Call in an expert on central air conditioners to get your wiring sorted out. Staying on top of your air-conditioning maintenance is important for having cool air blasting all summer long. Give us a call and we’ll make sure your AC is running perfectly. "Unbeatable customer service!!! We have just purchased a new house with four units. One of them wasn't working correctly and I had no idea what to do. I called and spoke with Barrett who came right out and took a look. He knew immediately just by the sound something was wrong, even though the unit wasn't very old. Barrett then called Kenny and we set up a time to have Kenny come out and run a diagnostic. This was not a unit that Sig Cox had sold or installed, or a brand they usually deal with. Not only did they go above and beyond to do the research and figure out the problem, but Kenny was also able to find out that it was under warranty and saved us over $700!!! He also installed a new thermostat that had been installed incorrectly and wired wrong. Since this was not a manufacturer they normally deal with the part did have to be ordered (which is totally understandable) and Kenny kept apologizing for what was only a one day delay. When the part came in he gave me a call and came right out and installed it. He was very thorough in explaining what the problem was, what he had done to fix it, and taking time to run the unit and making sure it was reaching the proper temperature. I was VERY impressed with high level of professionalism and knowledge these guys have as well as the outstanding customer service they have shown. It is so very rare to find such a remarkable company these days who is far beyond what we now consider to be the "norm". I will always use Sig Cox from this point on and will recommend them to everyone. Thank you, Thank you!!!" "I called 6 other companies when my AC stopped pushing air at 5PM. None of them seemed to want my business. When I got to Sig Cox, the guy who answered the phone was polite, knowledgeable, and was even trouble shooting with me before sending someone out. The agent got to my house in 30 minutes, troubleshoot, and fixed the problem in another 30. He even topped off the freon for free. The pricing was definitely agreeable. You'd get charged the same or more with any other company. Some of the best customer service I have seen. You should absolutely consider Sig Cox for you HVAC problems, I won't be looking anywhere else." "I have dealt the professionals at Sig Cox for over 25 years. They are a well run company, that sees the priority in customer service. They are fair, and do work for a fair price. These days, this is what you need in an air conditioning contractor. I look forward to continued business with these guys." "Called John regarding an ac issue at a rental property. I wasn't able to meet them at the house but they worked seamlessly with the renters to quickly identify the problem and resolve the issue. They have been providing inspections and maintenance services for me now for over a year. I really appreciate the high level of support I receive from Sig-Cox." "This company did some work for my mother-in-law, of which she was quite pleased, so she recommended them to us. We had a downstairs unit that just wasn’t putting out any cool air. They came by post haste and assessed the unit, gratis. Of course it was a compressor failure so we had to make the hard decision to buy a new unit or fix what we had. The advice we got from our man on the scene was honest and sincere. Since we had an older unit that used the phased out Freon and compressors are ugh, expensive, we went with a new unit. We decided on the Amana since it had a lifetime warranty on the compressor and rated well in Consumer Reports.A month later the other unit failed and we replaced that as well. Six Cog worked with us on the price, we were never hassled on the payment, nor did they demand any payment on the spot and never did I feel pressured into anything. The install was smooth, fast and highly professional. Both units fired up, granted a month apart, and the house was cool almost immediately.This company has a great reputation from what I can garner in the community, and I’m here to tell you that I recommend them highly as well. Please note that this is first recommendation I have ever put online." "This HVAC company is very professional. 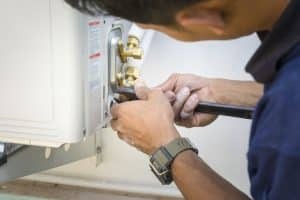 They took the time to explain everything to me, provided me with options and excellent pricing for repairing my heat issues. Sig Cox definitely gets 5 stars for heating repairs!" "Very good experience. The Service Technician, David, went above and beyond to assist us in our AC repair." "These people are amazing. After hiring Sig Cox the first time to fix my HVAC unit about a year ago, I was more than happy, to say the least. Then about a week ago I had them install a new HVAC unit for me. This is by far the best a/c repair company in Augusta GA. They are professional, timely, and really take care of their customers. I highly recommend them and proudly give them an A+ rating! Thank you all so much!" "From the first time that Mr. Boarwright came out, I knew that your company was top of the line. None [of the other companies] laid it out on paper like Sig Cox." "Thank you and your crew for your profession assistance in solving our unique heating and cooling situation that involved two seperate zones." "It was a pleasure doing business with your staff. They were professional and provided the solution to our problem. My air conditiong system went out, Sig Cox was recommended so I called them. Technician Andrew came out, was on time, and he properly diagnosed the problem. He had the part ordered. When the part came in, Nolan installed the part perfectly. Both technicians were very professional and knowledgeable. I even talked to the owner of the company who is involve day-to-day with his company. Very nice people to deal and they really go beyond what's expected to help you get things fixed. I highly recommend Sig Cox!! Ask for Andrew or Nolan, they know what they're doing!! If you’re looking for trusted heating & air conditioning professionals, you can count on Sig Cox.